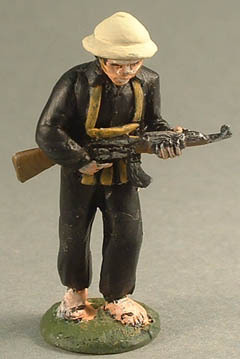 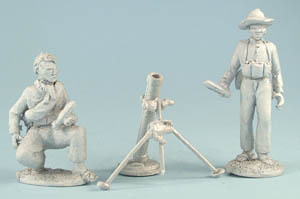 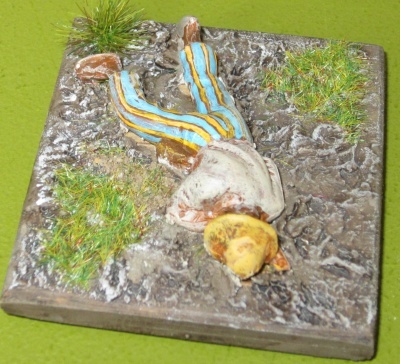 NAM 17 VC dead, painted as a bit of a dandy, by John Calvert. 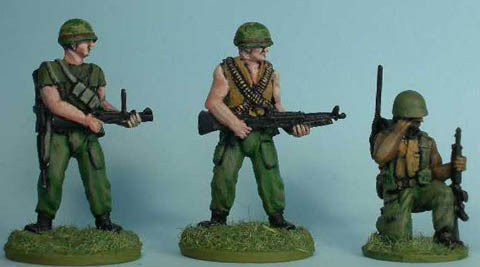 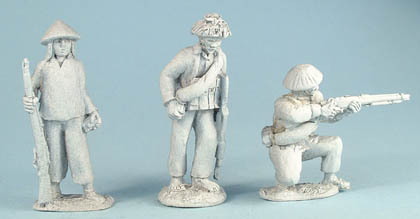 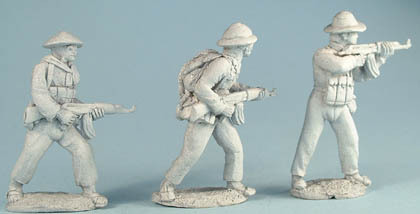 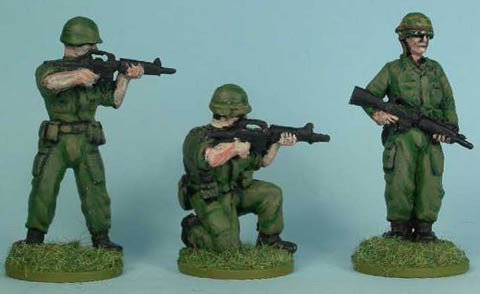 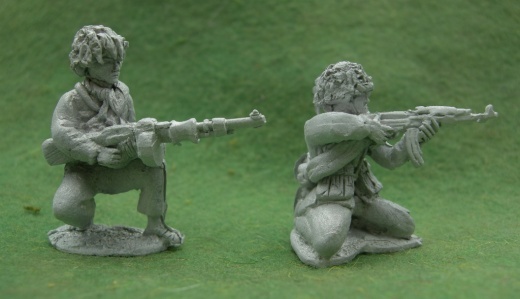 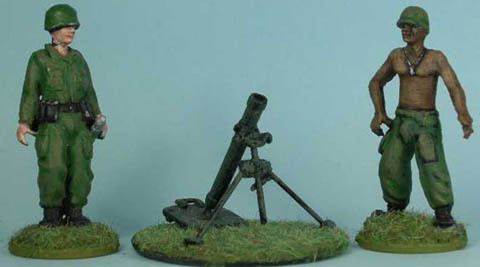 LNAM32 Montagnard Infantry, kneeling firing "Grease Gun"
NAM33 ARVN Infantry walking with M16, NAM32 Montagnard Infantry, kneeling firing "Grease Gun"
Vietnamese, painted as Viet Minh. 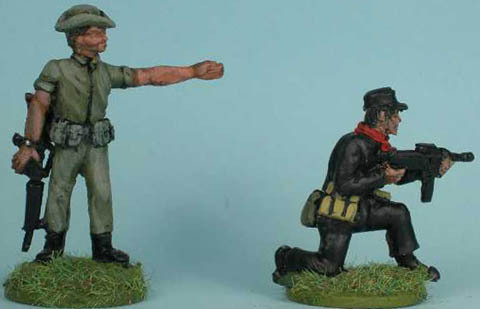 From the collection of Adrian Hoogerwerf. 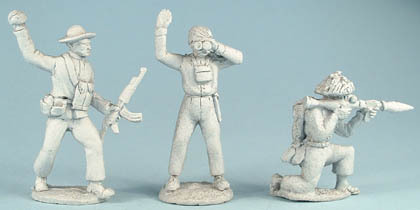 For French types, use our Modern Africans range!